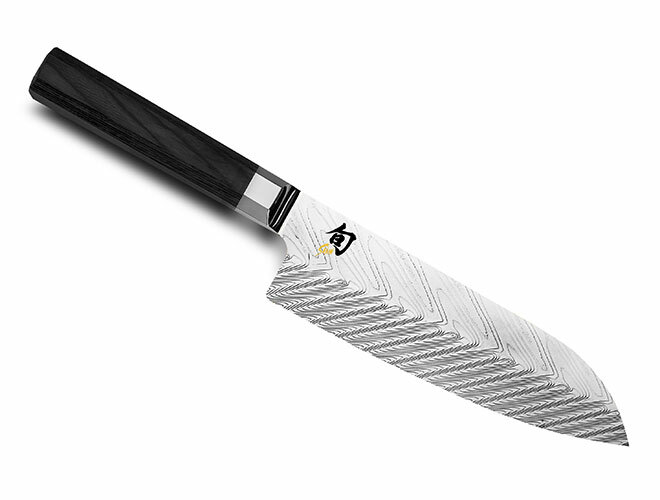 The Shun Dual Core Santoku Knife is ready to shine in your kitchen as a versatile cutting tool. After all, the santoku is designed to be a go-to option for all the basic kitchen cutting tasks. This blade shape is slightly shorter compared to a standard chef's knife, but it's also light, agile, and easy to maneuver. That convenience makes all the difference for some chefs. Even with its unique blade shape, you're still getting enough belly curve to make effective rocking cuts. That makes it just as easy to use as a chef's knife. We think you'll agree the Dual Core 7-in. 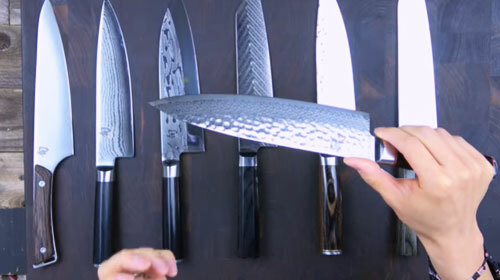 Santoku is a perfect companion for those who want a general-purpose kitchen knife. 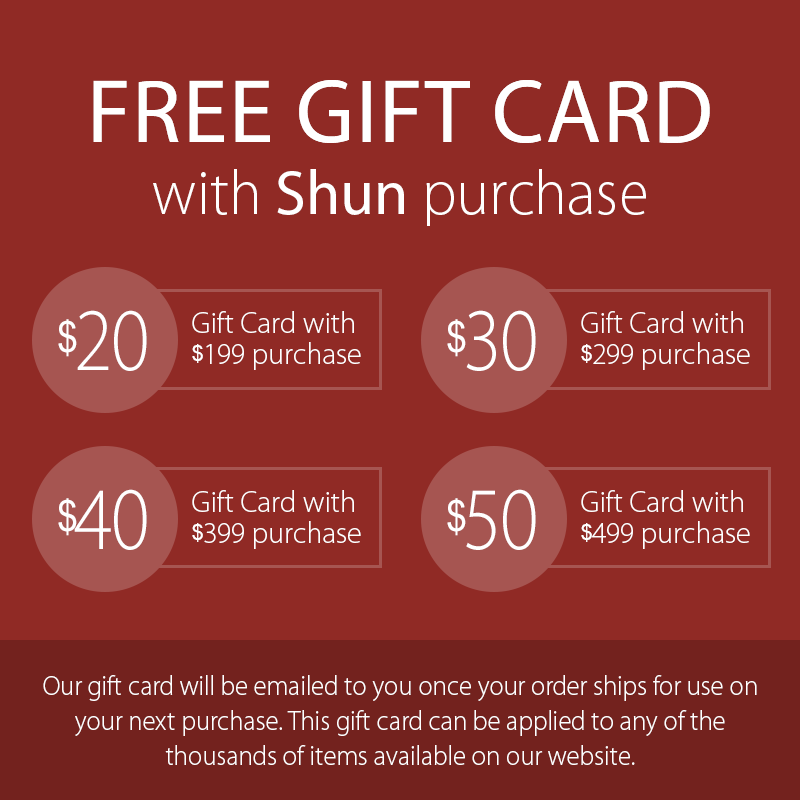 The Shun Dual Core series features a Damascus blade made from two premium-quality, high-carbon stainless steels. 71 alternating micro-layers of high carbon, high chromium VG10 and VG2 stainless steels are roll-forged to produce a finer grain in the steel and to give it both strength and beauty. The laminated steel is then hot forged to create the herringbone pattern that allows the layers to alternate along the cutting edge. 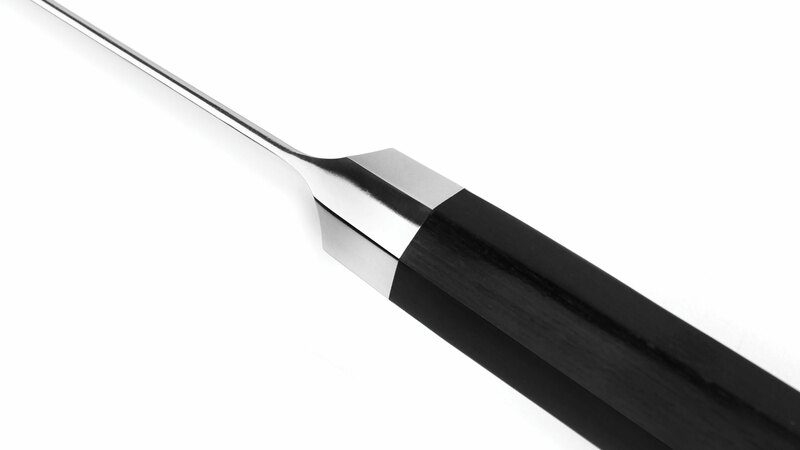 During normal use, the two steels will wear at different rates creating micro serrations along the edge so that the Dual Core's extremely sharp edge feels sharp longer. Etched laminations in the blade reduce drag, helping food release from the blade and gliding through each cut quickly and easily. 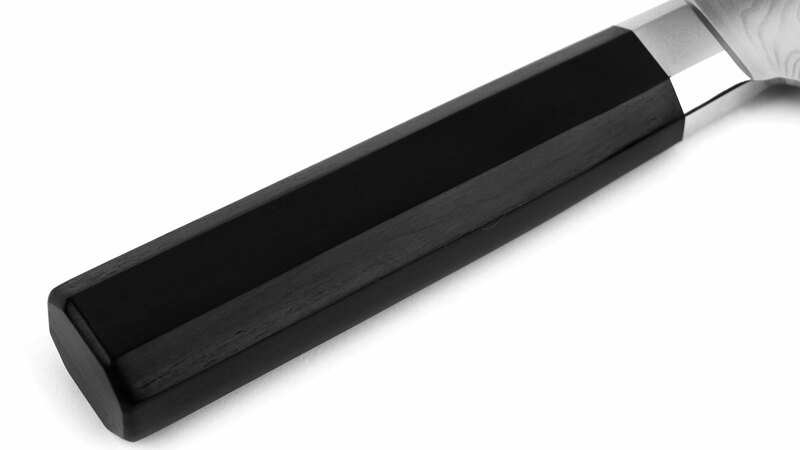 Dual Core blades are thin, light, and strong. Traditional Japanese octagon-shaped handles in ebony PakkaWood provide a comfortable and secure grip to complete the look of these beautiful knives. 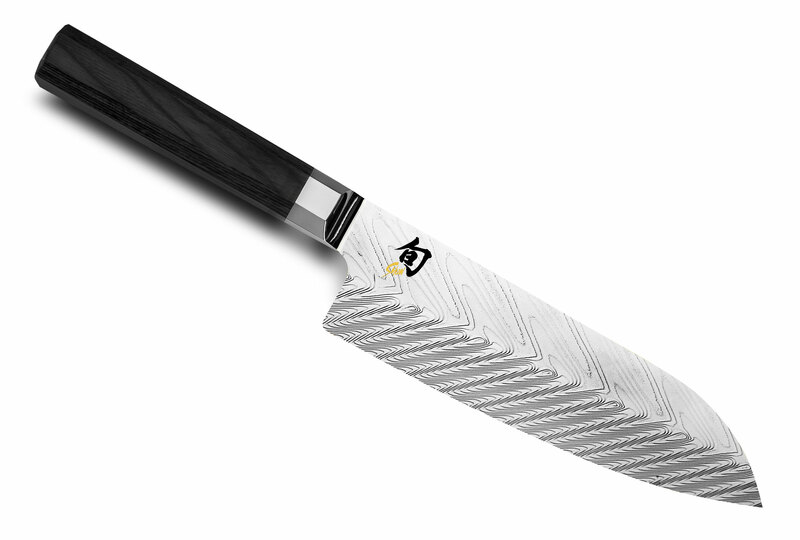 https://www.cutleryandmore.com/shun-dual-core/santoku-knife-p137308 37308 Shun Dual Core 7" Santoku Knife https://cdn.cutleryandmore.com/products/large/37308.jpg 299.9500 USD InStock /Cutlery/Nakiri Knives The Shun Dual Core Santoku Knife is ready to shine in your kitchen as a versatile cutting tool. After all, the santoku is designed to be a go-to option for all the basic kitchen cutting tasks. This blade shape is slightly shorter compared to a standard chef's knife, but it's also light, agile, and easy to maneuver. That convenience makes all the difference for some chefs. Even with its unique blade shape, you're still getting enough belly curve to make effective rocking cuts. That makes it just as easy to use as a chef's knife. We think you'll agree the Dual Core 7-in. Santoku is a perfect companion for those who want a general-purpose kitchen knife.